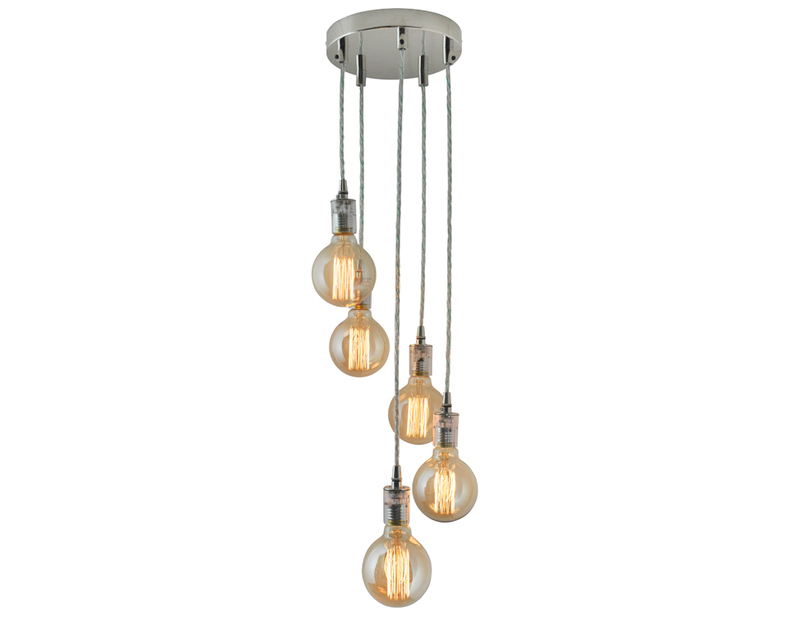 Add some elegance to your space with this modern industrial multi pendant light, it features a round nickel canopy with 5 pendants spiraling down. 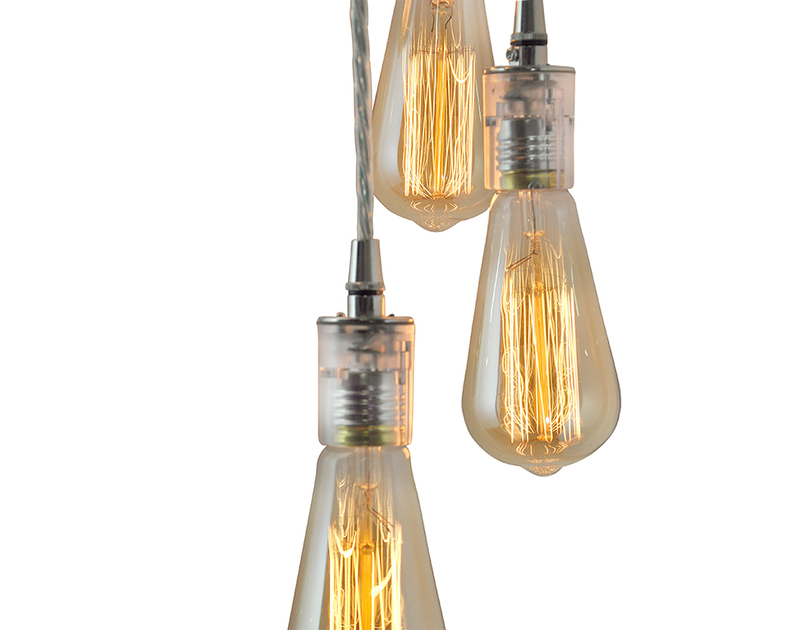 The unique pendant cords and sockets are both translucent. 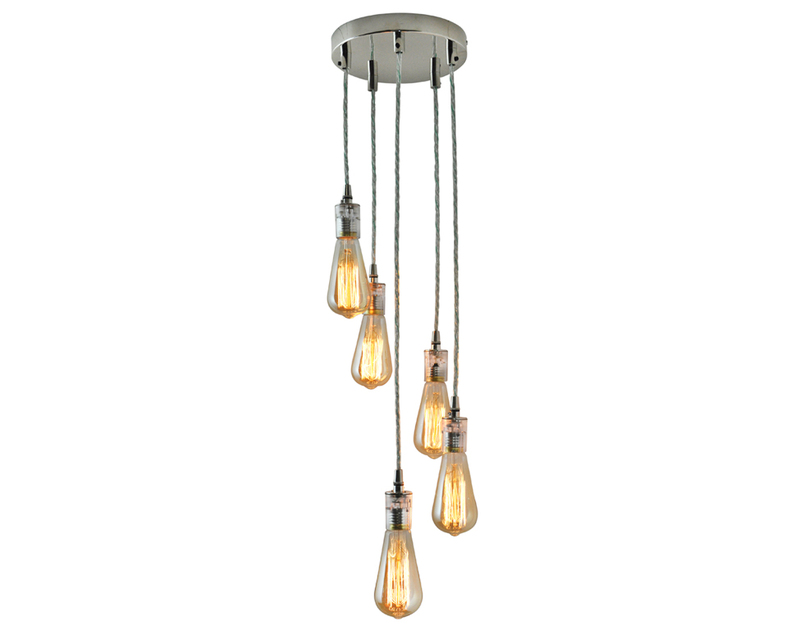 Edison bulbs are dimmable and included as shown. Bulb: Edison (dimmable) Watts: 150w. UL: Yes, dry location only.